Phew! Yesterday I was called in from a day off to do an interview with Radio Wales with an hour’s notice. With little time to prepare, I was so nervous in the interview that I was shaking throughout. (If you are interested, you can listen here – it starts about 9 minutes in.) Fortunately, I’ve now had more time to digest the report. And while most coverage has focused on negative aspects, Dr Farsalinos has pointed out that the release is more moderate than previous positions. i. 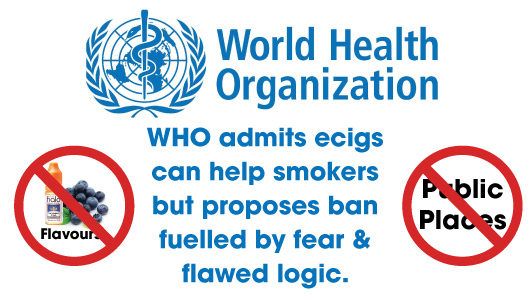 The WHO acknowledges ecigs can help smokers who have been failed by other methods. ii. They acknowledge that there is no evidence that ecigs are normalising smoking, and that evidence in the UK suggests the opposite is happening. That said, there’s a lot wrong with the WHO release, with the biggest being a recommendation that flavours are banned. So here’s a quick roundup of the WHO attitude towards ecigs. I’d love to know what you think, so please let me know in the comments! If you believe the WHO, no adult vapers are interested in vaping non-tobacco flavours. So it’s clear that flavours are not hooking children. So why are companies producing them, and who is buying flavours? Fortunately, an ECF survey provides the answer. 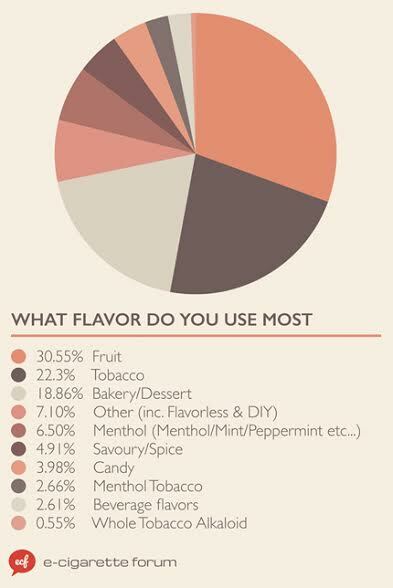 A survey of 10,000 adult vapers by ECigaretteForum shows that fruit flavours are the most popular eliquid flavour. 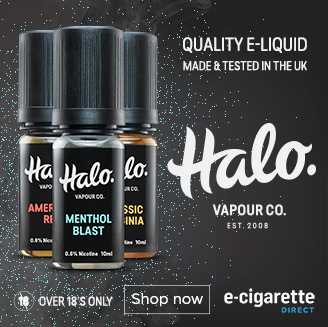 Non-tobacco flavours are also very important in helping ex-smokers stay off tobacco cigarettes, for if you have switched to a non-tobacco non-menthol ecigarette, you’re far less likely to go back to smoking tobacco cigarettes. There’s another danger to banning eliquid flavours. 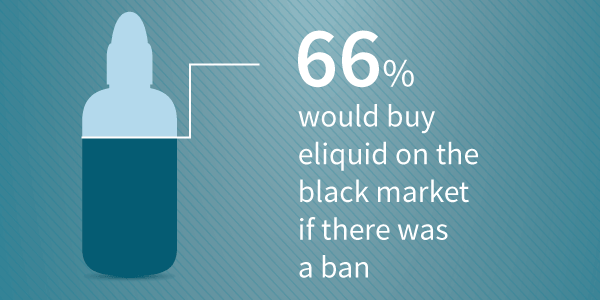 Over 60% of users have said they would buy eliquid on the black market. As with other companies in ECITA, we are working towards even more improved standards such as emissions testing. Forcing legitimate companies out of the market and giving it to the black market would undoubtedly lead to a massive fall in the quality and safety of ecigs. The WHO relucantly admits that ecigs can help some smokers, although it argues there is little evidence that they are much better than NRT aids. That’s based on a study much criticised by scientists. The study used naive vapers (people who didn’t know how to vape – as you can see here, there’s a basic tip which is crucial to using ecigs effectively) and an ineffective brand of ecigs. 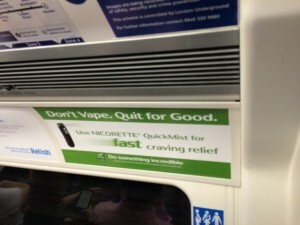 Meanwhile, real life studies show that 2.1 million people now use ecigs in the UK. 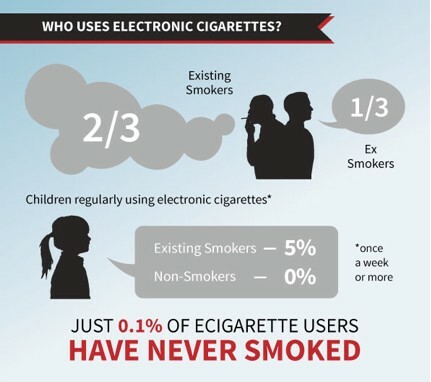 Of this, one third have stopped using ecigs completely. So that’s 700,000 who have stopped using ecigs – an awful lot more than have stopped with help from the NHS. 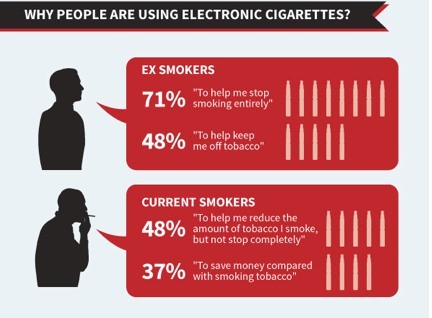 What I find interesting is that we have no data on people who have stopped using both ecigs and cigarettes – if we did, the number who have stopped smoking with ecigs might be a lot higher than 700,000. Research has also shown that dual use of NRT aids and cigarettes eventually lead to complete cessation, so many dual users may end up stopping altogether in the future (Source: NICE). While highlighting the danger of nicotine poisoning, the WHO admits that information and data is scarce. 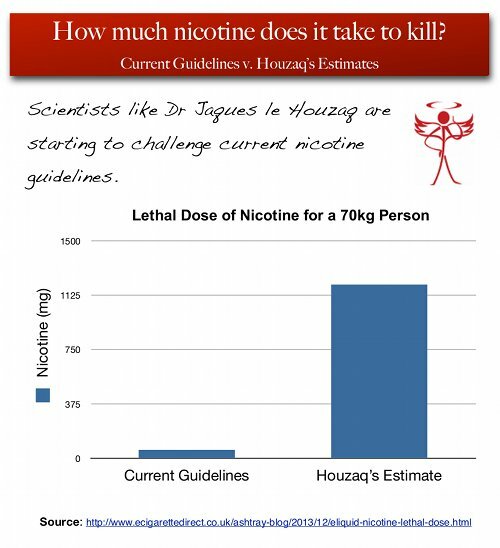 It’s also worth noting that recent research has found that nicotine is far less dangerous than previously thought (see How Much Eliquid It Takes To Kill). Of course, it’s still worth taking precautions, and measures like childproof bottles (already mandated by ECITA) are a no-brainer. Data shows that it is easier to quit pure nicotine than it is to quit cigarettes. The WHO also highlights the danger of nicotine, arguing that it could accelerate the growth of cancer. The WHO also ignored research that suggests nicotine when seperated from tobacco may be less addictive (see Why everything they told you about nicotine addiction could be wrong). In addition, the WHO has pointed out that nicotine is bad for pregnant woman. That’s completely correct – nicotine is bad for unborn babies. What I’d like to see is the WHO addressing the question of whether pregnant women who can’t quit nicotine 100% (which is obviously the best option) would be better off using tobacco cigarettes, with their tar, smoke and carcinogens or smokeless alternatives to cigarettes. It also argues that there is a danger that toxins in electronic cigarette vapour could be harmful to the people, arguing that even small increases above background levels could be harmful. This completely ignores research that shows that toxins found in vapour are within accepted published levels. 2. That in the UK a boom in ecigs has coincided with a fall in the use of tobacco cigarettes. I’d argue that with at least 2,1 million Brits smoking less or not at all because of vaping, and a decrease of 9% in cigarette duty in 2013 alone, ecigs denormalise smoking. And our survey of 1600 users show that restrictions will lead to a massive return of vapers to smoking. …the risks to others of electronic cigarette vapour are extremely low. I would rather that someone was using an electronic cigarette than smoking a cigarette, and if use indoors is important to help them stay off smoking, then why not? Claiming that e-cigarettes are dangerous for non-smokers is about as credible as claiming that air travel is dangerous for people who never set foot in an airplane. As we’ve seen, there is no evidence that ecigs are a gateway to smoking. Studies like this and these show that they are also not a health risk non-smokers. Yet the WHO proposes forcing vapers outside with other smokers, where the chances of them going back to tobacco cigarettes will sky rocket. Obviously there are some places where vaping might not be appropriate (family pubs and playgrounds spring to mind!) Let’s make sensible decisions on a case by case basis rather than banning ecigs everywhere! This paid pharmaceutical ad tells smokers not to vape. 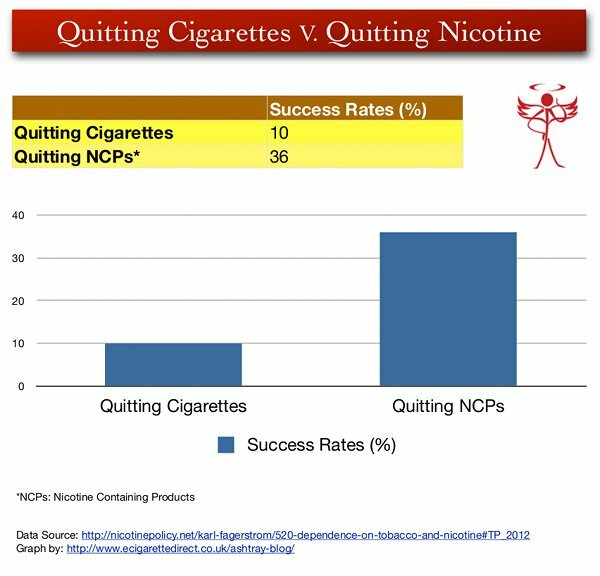 Yet research shows that ecigs are more effective than NRT at getting people off ecigs. The WHO argues that ecigarette companies should not be allowed to advocate for or against ecig regulation or legislation. To restrict ecig companies without restricting pharmaceutical companies (and funded charities) seems patently unfair. What do you think? In particular, how would a ban on flavours effect you? Let me know in the comments! The Eight Most Popular E-Cigarette Flavours – Plus Discount Codes! Really? I switched to a menthol brand of cigarettes within months of becoming a smoker. Why? Because I didn’t like the taste of tobacco. I don’t want to vape a tobacco flavor either. Why? I don’t like the taste of tobacco. I also harbor the fear that vaping a tobacco flavored juice will kick in a craving for a cigarette. I managed to quit smoking by using a personal vaping device and have no desire to start smoking again. But I also have absolutely no desire to vape something that tastes like tobacco. Don’t push me back into smoking menthol cigarettes. And what’s this about adults not liking flavors? Tell that to my family (all non-smokers) who all love the taste of chocolate, coffee, fruit, cinnamon, vanilla, coconut, etc. They all love their sweets. As for flavors being used to lure young people into vaping……..all I can say is that in 8 months, I have not met one person , of ANY age, who was NOT a smoker prior becoming a vaper. IDIOTS. If you can’t find a valid reason, invent one. Thanks for the comment, Kim, that’s exactly the point we are trying to make! I use flavour concentrates to enhance the liquids that I like , mostly sweets/fruits. As far as I am aware these are exactly the same as the ones used in confectionary or making ice-cream so if i cannot buy them from e-cig vendors I will get them at Tesco’s. This suggestion is totally ludicrous , they must be desperate if they are clutching at straws like this. It certainly does seem like overkill! As a 30 year smoker, changing to Vapping tobacco flavours then changing to fruit flavours has put me off the tobacco taste for good. 4 times I have tryed to stop with NHS products and failed every time. Nicotine levels are now lower than any product I’ve previously used. Any move away from tobacco products or flavours has to be a good thing. Thanks for your feedback, Phil, let’s hope non-tobacco flavours are not banned! Super Ecig Offers – Limited Time Only! Mesh Coils – What`s the Big Deal?